Since almost a month we’ve posted a with our Just Married section special preview of weddings on our lakes. This way we are able to show you weddings in real time, just the same day of the event itself. Thanks to quick post production skills of our Team’s photographers who are able to give us best shots of the day we can post all almost at the same time of the event. Today Alessandro Balossi photographer has given us Cinzia and Christian’s wedding photographs in just few hours from the event which took place on late afternoon on Lake Orta. 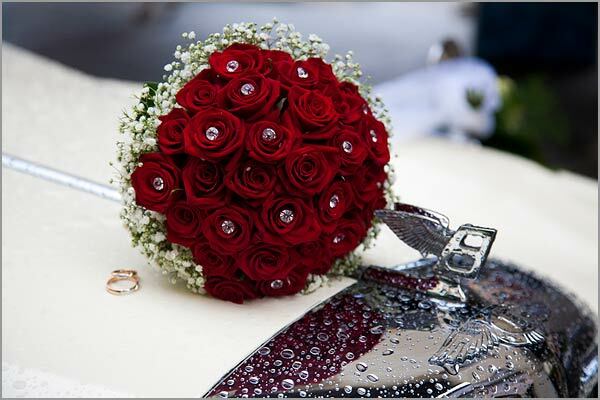 As floral designer I created for Cinzia a round shaped bouquet with Red Roses Passion embellished with many little Swarovski crystals and tied in a compact baby’s breath crown. Have a look to great impact of this picture lied on wonderful 60s Bentley. This great car accompanied the bride up to entrance of the church. 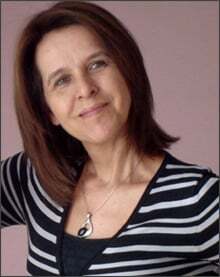 And here you are some other images of the event who had some shower in the afternoon but it did not ruin the day at all! 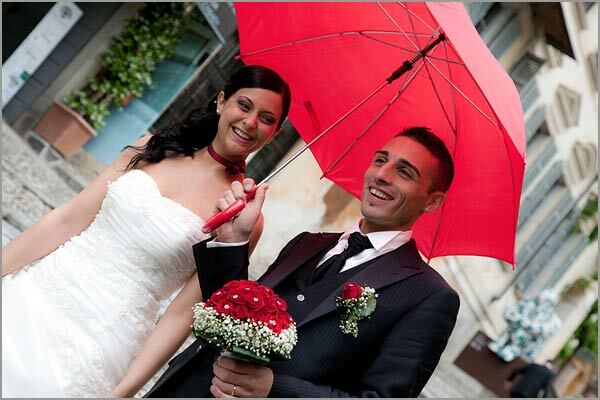 Red was Cinzia and Christian wedding theme. There were red details everywhere: Cinzia’s dress, bridesmaids’ dresses and floral decorations! 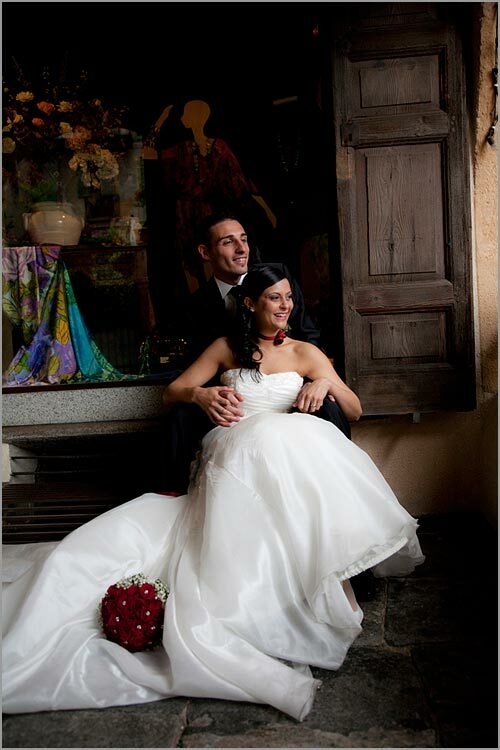 We will come back soon to tell you more about Cinzia and Christian’s wedding. Our best wishes to bride and groom from our Team and a special thanks to Alessandro Balossi’s photographer for his professionalism and for sending us the images so quickly! ← Two lovely weddings on our lakes today!